One of the species of sandfly that spreads leishmaniasis in North and South America, Lutzomyia longipalpis. A disease spread by sandflies seen as an exotic nuisance in the U.S. might not be solely a traveler’s disease after all. A new study published Wednesday in JAMA Dermatology suggests that most American cases of leishmaniasis are actually spread by native bugs, not caught while traveling. And thanks to climate change, the parasitic illness may become even more common in the years to come. 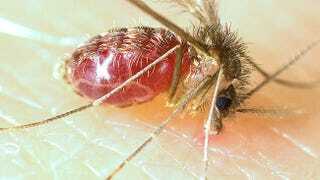 Leishmaniasis is caused by more than 20 species of the single-celled Leishmania parasite, which can be spread by the bite of around 90 different species of female sand flies. They’re a close cousin of the parasites that cause sleeping sickness and Chagas disease, all of which are distinguishable by their single, whip-like tail. Not all people infected with Leishmania parasites develop symptoms, but those who do get sick in one of three ways. People with cutaneous leishmaniasis—by far the most common form of the disease—have usually painless skin bumps or lumps that can steadily become scabbed-over, vividly discolored ulcers. Though these sores can clear up without treatment, they can sometimes take years to go away. Rarely, cutaneous leishmaniasis can also spread to the mouth, nose, and throat, causing mucosal leishmaniasis. 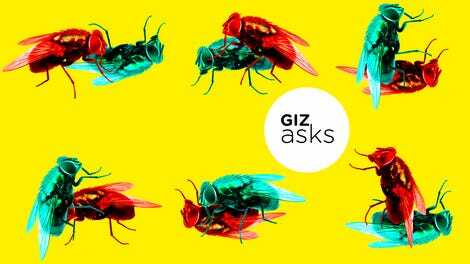 Other times, the parasite can instead lay siege to our internal organs, causing a much more serious and potentially life-threatening form called visceral leishmaniasis. A photo of cutaneous leishmaniasis, taken in 1965. Leishmaniasis has been seen in more than 90 countries, according to the Centers for Disease Control and Prevention, and is endemic throughout parts of Europe, Africa, and South America. But the CDC, as well as just about every medical textbook, has forever treated leishmaniasis in the U.S. as an exotic disease. “Almost all of the cases of leishmaniasis diagnosed in the United States are in people who became infected while traveling or living in other countries,” according to the agency’s FAQ on the disease. But according to the researchers behind this latest study, this assertion is entirely wrong. They dug through case reports of leishmaniasis patients within the US, as well as data from their own research centers and nearby laboratories in Texas, where leishmaniasis has been most commonly spotted stateside. From 2007 to 2017, they found, there had been at least 75 cases of cutaneous leishmaniasis documented in the US. But only six of these cases had previously been reported in the medical literature. Of the other 69 cases, 59 percent were endemic, since the person hadn’t traveled out of the country in the past 10 years. All of the endemic cases were found in Texas. Though the state has asked doctors to notify it of any cases of leishmaniasis since 2007, only 20 percent of these cases actually were reported. “Our data directly contradict current expert medical statements regarding human cutaneous leishmaniasis in the United States,” the authors wrote. While 75 cases over a 10-year-span may not seem like a big deal, they likely represent only the absolute tip of the iceberg, according to the authors. None of the confirmed cases were even suspected to be leishmaniasis at first, so it’s possible that doctors in these endemic areas are simply failing to catch the disease. And the potential range of the illness is wider than you might think. Both the sandflies that spread leishmaniasis, as well as the various species of mammal hosts that serve as its hiding spots, can already be found throughout the southern United States. And as the climate shifts, bringing along warmer seasons that last longer, the parasite’s range will only expand. A 2010 modeling study cited by the authors estimated that cases of native leishmaniasis could be seen as far north as Southeastern Canada by 2050. Even under the most optimistic scenario, as many as 27 million Americans could regularly be exposed to the disease by 2080, doubling the number of people already at risk. Currently, it’s thought that somewhere from 900,000 to 1.6 million new cases of leishmaniasis happen annually worldwide. The bright spot, if there is one, is that leishmaniasis usually isn’t a devastating disease, even if its symptoms can look frightening. The cutaneous form can be managed in a dermatologist’s office with little hassle, and early medical care and drugs can prevent the more serious form from being fatal (as of yet, though, no cases of visceral leishmaniasis have been seen in the U.S. and the parasite responsible for all endemic cases in this study rarely causes this form). But so long as doctors and health agencies remain unaware of the threat to begin with, the authors say, people will needlessly suffer. They recommend devoting more research to leishmaniasis, as well as making it a federally notifiable disease, following in the footsteps of other vectorborne diseases that are becoming more common as temperatures rise, such as Zika, Lyme disease, and West Nile.